Jigsaw, Google’s sister company, and Alphabet-owned tech incubator outfit has released a secure open-source VPN (Virtual Private Network) for news organizations so that they can safely access the open internet from anywhere and ensure the privacy of their communications with their sources, outlets, and newsdesks. 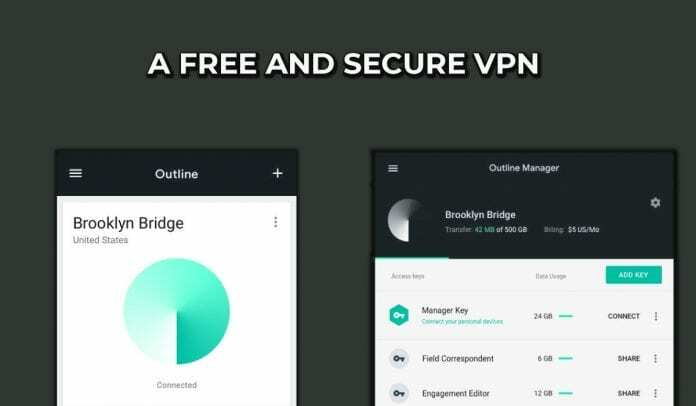 The VPN dubbed ‘Outline’, is a piece of free proxy software, that allows you to set up your own VPN server on a physical server owned by you, or on a virtual server in the cloud (using a platform such as Google Cloud Engine, Digital Ocean, Rackspace, or Amazon EC2). “The core of the product is that people can run their own VPN. You get the reassurance that no one else has your data, and you can rest easier in that knowledge,” wrote Santiago Andrigo, Product Manager at Jigsaw in a blog post. He says that although there are several third-party services already available on the Internet, that may hide your data from prying eyes like your ISP or the government, but the VPN provider itself can still potentially access your data. However, with Outline, there are no chances of anyone spying on user’s data. Generally, people use VPNs to access to the Internet, but they are not always safe. In addition, Jigsaw claims that it is very easy to setup Outline, and with the security updates getting installed automatically, you need not worry about keeping software up-to-date. “With Outline Manager, you can create a server and share access with unlimited accounts. Use your own infrastructure or a cloud provider, many of which offer plans that start around $5 per month,” said Andrigo. Outline is the completely open source and was audited by the Netherlands-based non-profit cybersecurity firm, Radically Open Security. Currently, the Outline app is available on Android (Android 5 and above), Windows (Windows 7.0 and above), and Chrome OS (Chrome OS 64 and above) devices, with the Mac and iOS versions expected in the near future. Just after its release, Outline has already created controversy. Famous cyber-security researcher Dan Guido, who leads a New York-based security firm ‘Trail of Bits’ has claimed that Jigsaw has plagiarized his work, an open source VPN software, AlgoVPN, which was released back in 2016. Jigsaw has not yet commented on the accusation. It would be interesting to see how this controversy unfolds in the future. Keep watching this space for more updates!! !